Dr. Paul Kaye, our facilitator, must have offered this gentle reminder at least ten times at our Silent Retreat at Peace Awareness Labyrinth and Gardens. Unplug – Relax, Refresh and Recharge, and I clearly needed it. I say this because each time he said it, I felt my body respond like it was hearing his offering for the first time, and each time I took a deeper breath. Towards the end of the day, when I was walking up the Meditation Garden stairs, I started to vividly see my natural pace is rushing. That was rather eye opening. I know that breath and breathing is a tremendous gateway into relaxing, health, and vitality. I also know that when I am relaxed, I am more open, more loving, more creative and more able to receive. I am just a better person inwardly and outwardly when I am relaxed. And cultivating this as my natural state is where I have some opportunity. I sense this is where many of us have opportunity. We have been habitualized and seduced with the allure of achieving, of getting things done and making things happen. This often requires moving fast, or falling asleep to our awakened consciousness and being in auto pilot. However one describes it, I sense many — if not most of us — have some relationship to the paradigm I am speaking of. 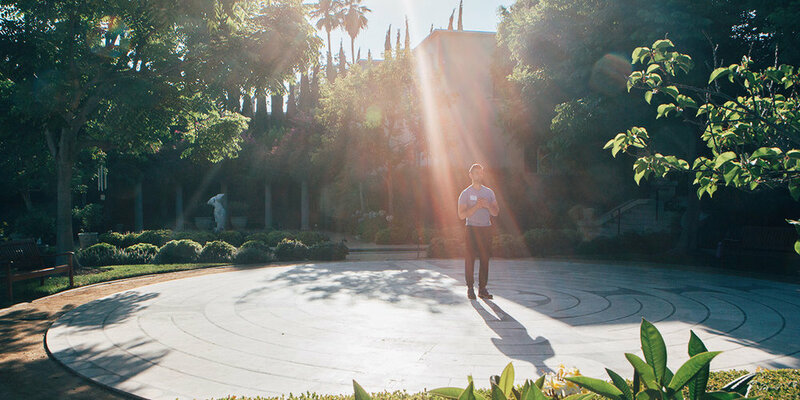 With that — and given we live in such a busy, full, techno-charged world — taking time to interrupt these habits in a place of beauty and peace like Peace Awareness Labyrinth and Gardens is essential. Paul is a skilled curator and master facilitator, and with the support of some lovely assistants, he took us on a restorative journey at our one-day Silent Retreat. We handed over our phones. We traveled. Inwardly and outwardly. We were fed healthy, delicious and thoughtful meals. We journaled. We walked the labyrinth. We had several opportunities of deep meditation which were often accented with a sound bath cleansing our energy fields. And, we participated in learning the art of some ancient cultural customs that are significant instruments of slowing down, being on purpose and breathing more consciously. I left this day feeling more me than when I arrived. What does that mean? For me, I felt like I let go of layers of activity that were attached to over responsibility and doing, and I opened my heart more fully to the splendor of the present moment. It may sound a bit cliché, and I say give yourself the gift of the Silent Retreat and then let me know how you feel. Silent Retreats are offered several times a year at Peace Awareness Labyrinth & Gardens. For more information, email Registrar@peacelabyrinth.org.